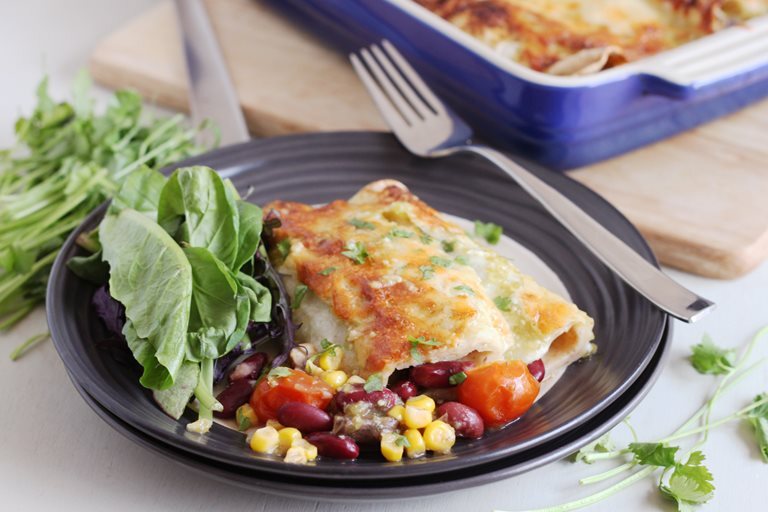 Becca Pusey shares the recipe for her tangy Mexican inspired veggie enchiladas, a recipe you won't want to miss! 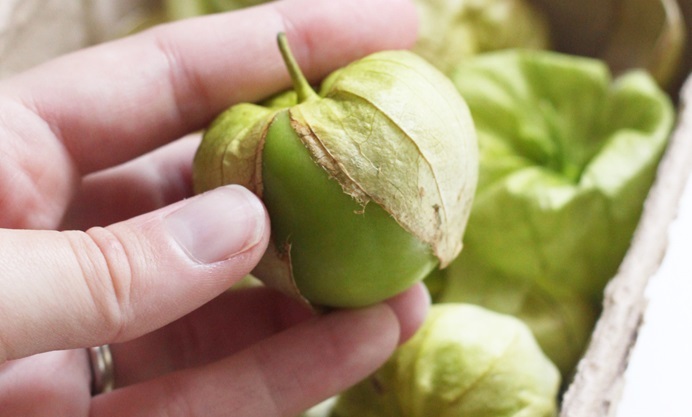 Tomatillos are similar to tomatoes in appearance, except they're bright green, and are wrapped in thin, papery leaves. Inside, they're quite dense and white, and full of seeds. After figuring out what they were, I decided that my tomatillos needed to be put to good use in some enchilada sauce - I'd heard that they were perfect for Mexican-style salsas! The sauce ended up fresh and tangy, and perfect to coat the cheesy enchiladas. 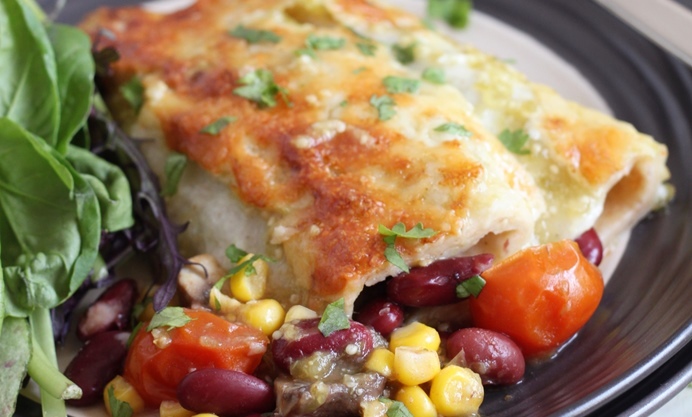 I stuffed my enchiladas with a simple mixture of vegetables, as well as some kidney beans for protein. Of course you can make your filling from whatever combination of vegetables you have in the fridge, since the real star of the show is the tomatillo sauce.